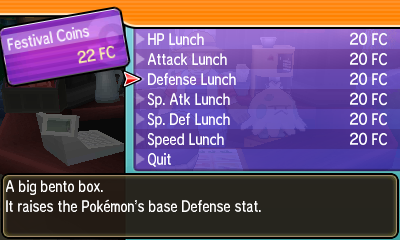 Sun and Moon Pokémon Alola Dex: Locations and more! Now that Pokémon Sun and Moon are out, we’ve compiled guides for all those items to find in the game! Need that specific TM to give your Pokémon the competitive edge? Missing on a Zygarde Core or Cell? 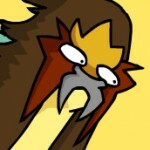 Mega Stones eluding you? We have you covered! A look at all of Festive Plaza. This location in the game is accessible from your menu screen after you reach the Pokémon Centre in Hau’oli City. You can visit here any time. 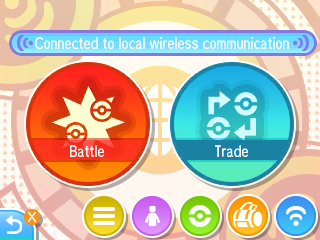 Here you can battle or trade with anyone around the world, and talk to the avatars of players you’ve interacted with! Furthermore, you can set up shops for your guests (visitors) to access (and use them yourself), and join in missions with friends. By doing missions and interacting with guests, you earn Festival Coins for use in the facilities. Trial Captain Sophocles is the main character you’ll encounter here. He gives you a quick tutorial to how Festival Plaza works. On the Touch Screen, you have several options. Battle (with Link Battle and Battle Spot and Trade (Link Trade, GTS and Wonder Trade) are self-explanatory. Unfortunately you have to access Festival Plaza to access features like Wonder Trade (which allows you to trade your Pokémon for a completely random Pokémon by anyone around the world). The menu for Festival Plaza. The yellow button shows you your current Guest list. The purple is your Profile, where you can set your responses to certain events when your character appears in another person’s Festival Plaza. 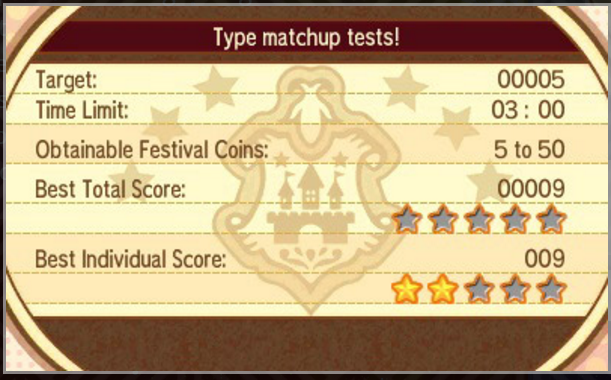 This also tells you how many more Festival Coins you need for the next rank. The green button shows your current Party, the orange your Bag, and the blue allows you to connect to the internet. There are NPCs for various options as well. As you walk in, the woman on the left gives you a FAQ. 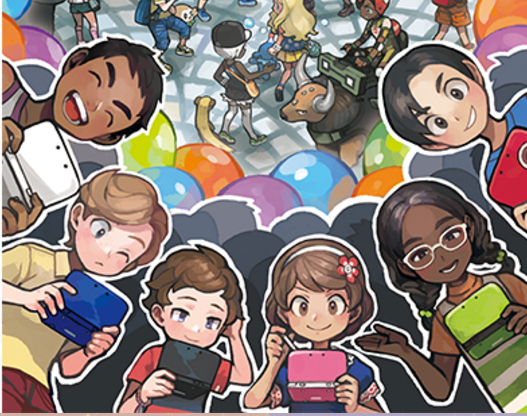 The woman on the right allows you to join Global Missions and the PC next to her allows you to use Game Sync with the Pokémon Global Link. At the end of the room, the woman to the left allows you to summon (or page) a specific guest into the castle. The man on the right allows you to rearrange the Festival Plaza facilities. Lastly, at level 4, you unlock an NPC by the castle entrance outside. She allows you to join or host Missions. Every day she will give you three Festival Tickets – hosting a mission costs you one ticket. As you gain Festival Coins (FC) you rank up your place. This unlocks new options. 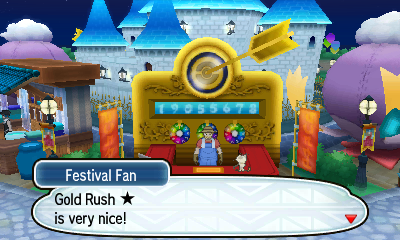 Sophocles will reward you from his chair in the castle with either the option of a new shop, a Festival Ticket if you are lucky, or an upgrade to the Festival Plaza. Level 2 is reached through the tutorial and gains you a second shop. Level 4 unlocks the ability to join and host missions. This is an additional way to gain FC. Level 8 unlocks the ability to ask guests for new shops. These are randomly generated for each person, and will cost a set amount of FCs (50-400). Level 10 unlocks the ability to ask about a guests’ clothing. You can order what they are wearing for some FC. Level 20 allows you to give the Festival Plaza a unique name. This displays to other players. Level 30 grants you high-ranking options from Kitchens, Shops and EV Training facilities. You must have beaten the Pokémon League. 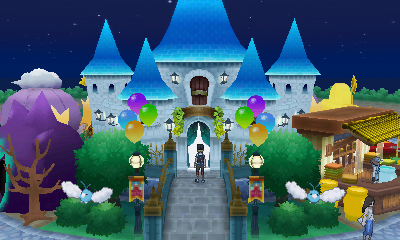 Level 50 changes the appearance of the castle. You get more options at level 60 and 70. Level 60 allows you to play more music. Most are town/city themes. Level 100 allows you to access a greeting boasting about your level. To start with, you have seven facilities (seventh gained during the tutorial). These range from places to train your Pokémon, Dye houses and lottery games. Each shop can have one to five stars. The more stars, the better the facility (e.g. more options from shops, better chance of rare items from lottery shops). You can interact with these shops themselves by spending FC. Options purchased are made available again every day. Facilities and their max star rankings are specific between versions of the game. 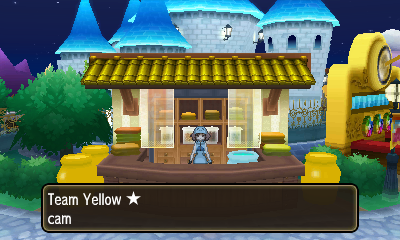 You can however get the other version’s shops from friends with that game version visiting your Festival Plaza. Each person has a preset shop. Lottery Shop: Called Gold Rush, Treasure Hunt and Big Dreams. Once a day you can enter a lottery and gain a prize. These include Max Elixers, Full Heals, Rare Candies, Bottle Caps, Berry Juice, Big Nugget and so forth. Gold Rush features Nuggets and Big Nuggets, Treasure Hunt features Gold Bottlecaps and Bottlecaps, and Big Dreams features Master Ball and Rare Candy. Who knows what you might win. Give it a spin and try your luck! Bouncy House/Effort Value Training: Called Thump-Bump Park (for Attack/Special Attack, Clink-Clunk Land (for Defense/Special Defense), Stomp-Stomp House (HP and Speed), and Phew-Phew Gym. You can send a Pokémon here to increase their Effort Values (EVs) to boost their stats here. The Bouncy House facility. Who doesn’t love bounce houses? Kitchen: Called Rare Kitchen (levels), Battle Table (EVs), Friendship Café and Friendship Parlour (Friendship). These boost the respective aspect of a Pokémon. Rare Kitchen boosts levels and is probably the most useful. Items can increase 9 levels for Pokémon below level 89, or 7 for Pokémon below level 79 if you have a high enough facility. Haunted House: Called Ghost’s Den, Trick Room and Confuse Ray. You can send a Pokémon here once a day, and they will return with an Item, like Calcium or Protein, or even Bottle Caps and Sacred Ash (particular rare!). If you’re lucky you can also get a bonus item – including potentially a Festival Ticket – for hosting missions. Fortune Teller Tents: You can learn a new phrase for your profile options once a day. They are named after regions (e.g. 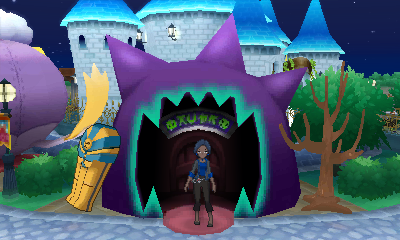 Hoenn Tent) or otherwise called Pokémon House. Phrases are associated with each region – e.g. a phrase about Mirage Island can be learnt from the Hoenn Tent. Item Shops: Called Ball Shop, General Store, Battle Store, Soft Drink Parlor, Pharmacy and Effort Shop. You can buy items with FC from these places. Dye House: Called Team Blue, Team Yellow, etc. These allow you to dye white clothing the corresponding color. Colours match those of the rainbow – Red, Orange, Yellow, Green, Blue, Navy Blue, Purple and Pink. The Team Yellow Dye House. You can gain FC by interacting with guests. You get both randomly generated guests, and those from Streetpass and Battles/Trades. As you walk about the Festival Plaza they will pop up. The randomly generated guests don’t necessarily give you the opportunity to gain FC, but those met during Streetpass, battles and trades appear to do so. Old guests can eventually give more FC interactions as well. Receiving Festival Coins from a visiting NPC. Those who may give you FC have a red profile message appear above their head when you stand next to them. 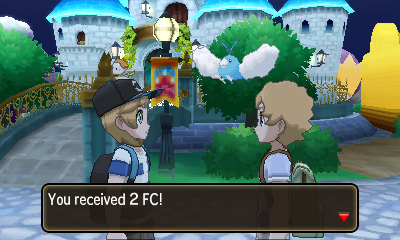 If there is someone who may give you FC, the Festival Plaza icon on the main game menu will have a small green icon. They may ask for a shop to go to – sometimes you have to hope it is one they like, while others are clear (e.g. if they are hungry, send them to a Kitchen; if they want excitement, a lottery shop like Gold Rush, etc.). They can also ask you questions – answering nets you FC. Upon unlocking with ranks, you can buy clothes belonging to those players, ask them for shops to add, and so forth. 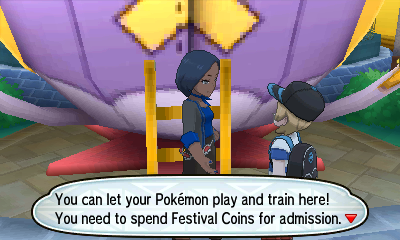 You can set friends to be VIP, who will always appear in the Festival Plaza by the entrance. At Rank 4 you can join in missions. By using a Festival Ticket, you can host one yourself that friends through local wireless, or anyone via WiFi, can join in. Doing this can increase your rewards. You get three Festival Tickets a day from the NPC by the castle entrance, and you can sometimes get more from facilities or Sophocles as a reward for ranking up. An example of one of the types of missions you may get in the Festival Plaza. An important note is that missions involve interacting with generated NPCs. To create more guests after making a lap around the Festival Plaza, talk to the mission host. Be quick – you typically only have three minutes per mission! Language lesson! Run around the Festival Plaza and talk to as many people as you can with a message in e.g. French or Japanese above their head. 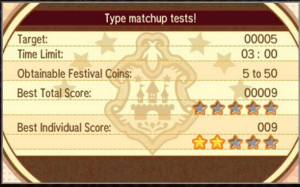 Type matchup tests! Guests ask you for a typing that is super effective against a combination (e.g. Bug and Grass – Fire, Flying, etc.). This gives you more FC than most other missions listed here. Inverse Type Matchup is an upgraded version that can give up to 60 FC! Find type enthusiasts!  Talk to guests talking about a Pokémon corresponding to the type theme – e.g. Zubat for Poison type. Check the message above their head before talking to them. Send people to stores! This requires sending guests to a specific kind of facility, but only if they want to from their message above their heads! Cross-cultural communications! This involves finding guests with messages in languages other than yours. Find fans! FInd guests dressed like yourself. Greet experienced Trainers! You have to find guests who have played Pokémon for five or more years. There are variations on this too, e.g. guests who can keep secrets, players who are the oldest sibling, and so forth. See through people’s disguises! Find people who are in disguise wearing a hat and glasses. Research Colour! This requires finding guests clothed in one colour, e.g. red. Do you have anything to add to the guide? Let us know in the comments! Edited by Charlie Brown, Nick Wilde and Z25.